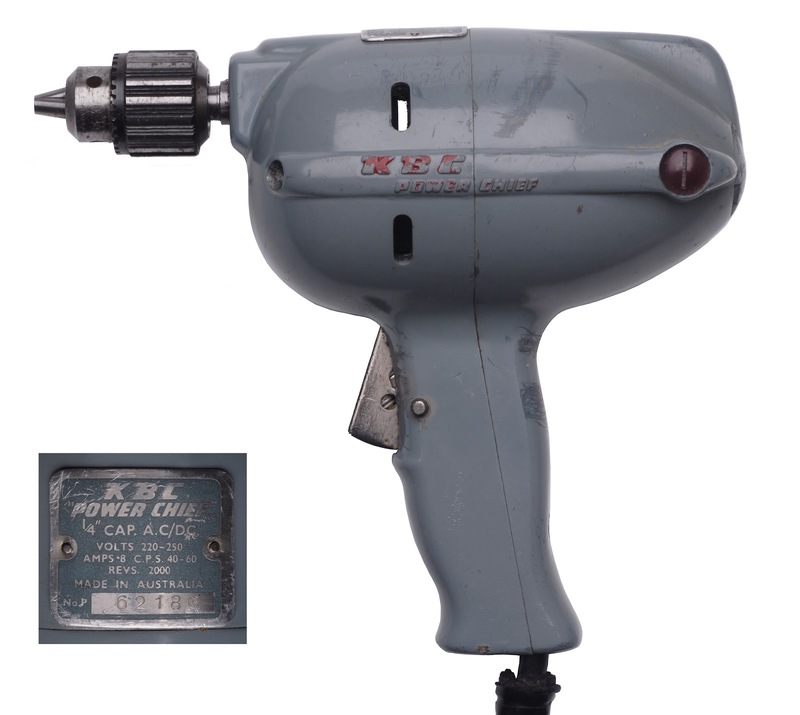 This is my blog about power tools that were made in Australia. I am interested to learn about their design, manufacture and use. Hopefully I will be able to create an archive of these power tools so this important chapter of Australian manufacturing is not completely lost. Steven Scotti from Perth WA is the proud owner of this Sher Drillmaster in near mint condition. History of KBC now available, follow KBC link above. Gaps are still evident and some details are needed to make this history complete, if you know anything about KBC that can be included to make the KBC story richer and more complete please let me know. 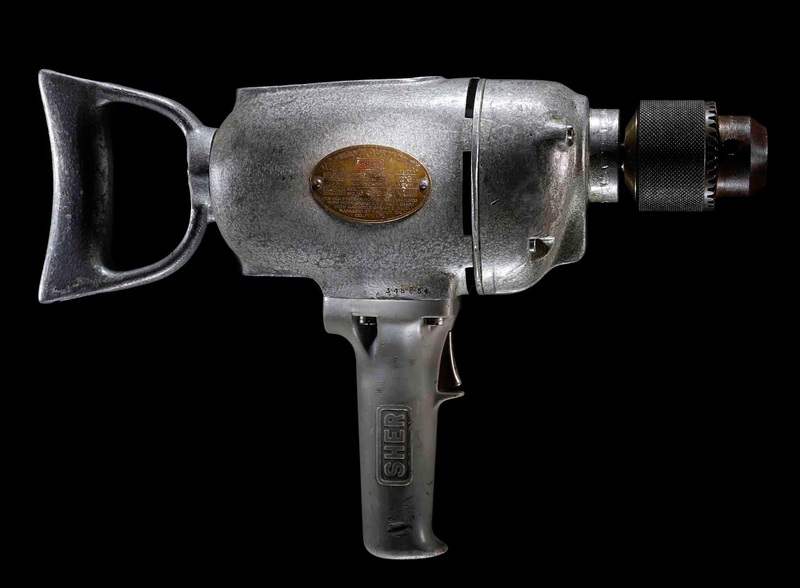 A Black and Decker Special Drill, not made in Australia (made in England), but a beautiful example of early electric drill design. This one has no provision for an auxillary handle so holding after long use may have become problematic, both because of the weight of the object and the heat created would have transfered directly to were your hand would be placed. 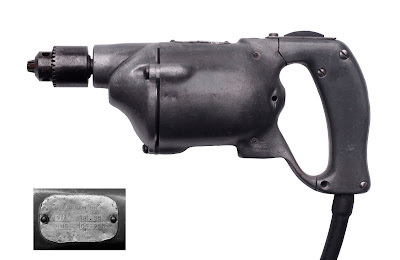 Notice also the switch is not a trigger but a slide on the top of the handle. 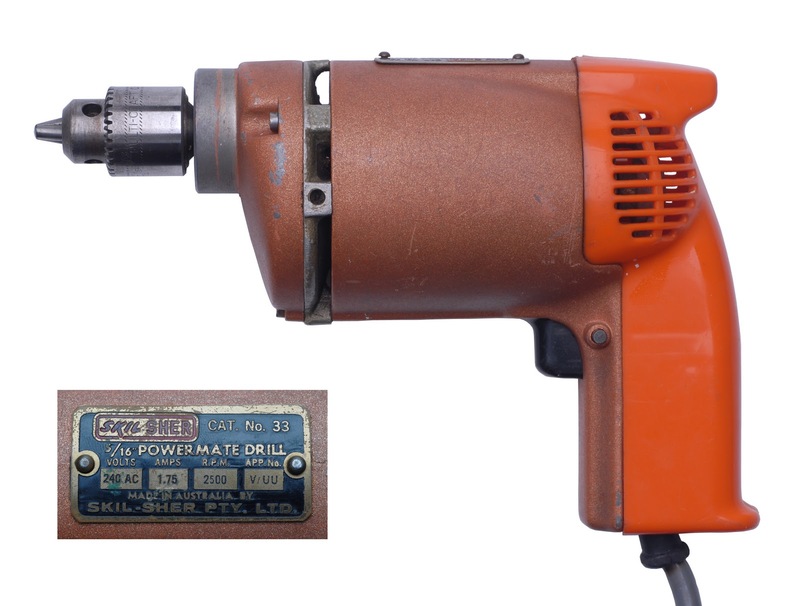 I have just uploaded the latest version of the history of Sher Power Tools. You will find this by clicking on the SHER tab just below the main title. If you think there is anything that needs to be added or corrections that need to be made I would be very greatful to hear from you. I'm also very interested in hearing about old power tool stories, a great deal has been accomplished using power tools.